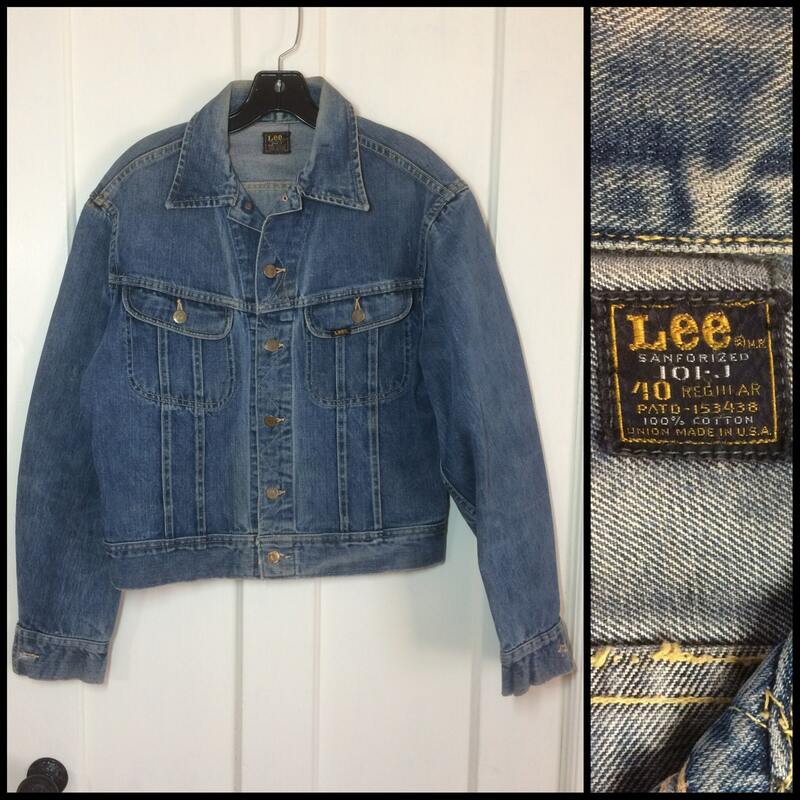 Here's a Lee jacket from the early 1970's. 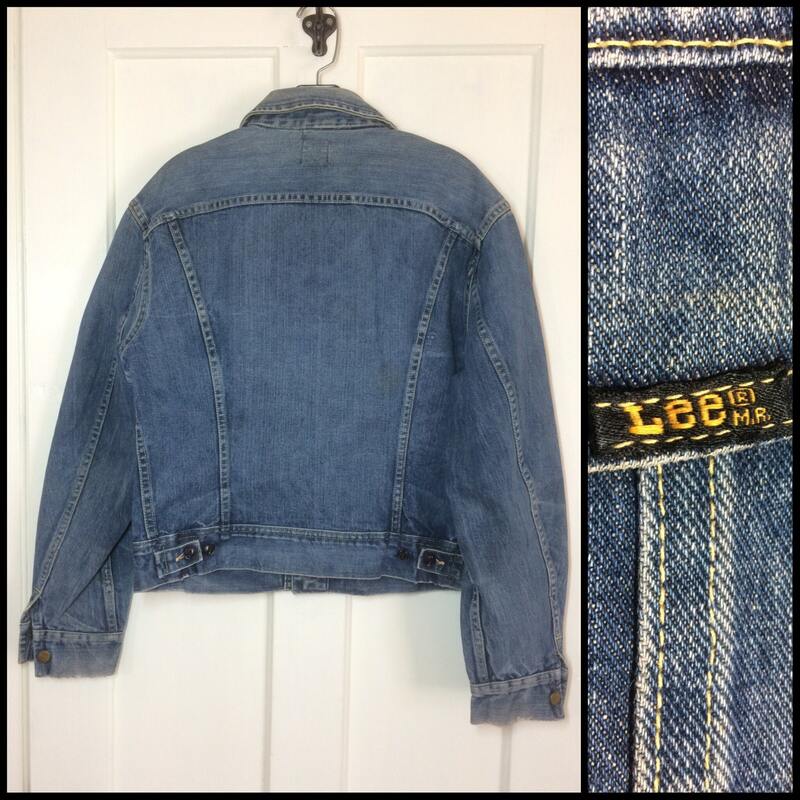 It has great patina, very worn in and soft. 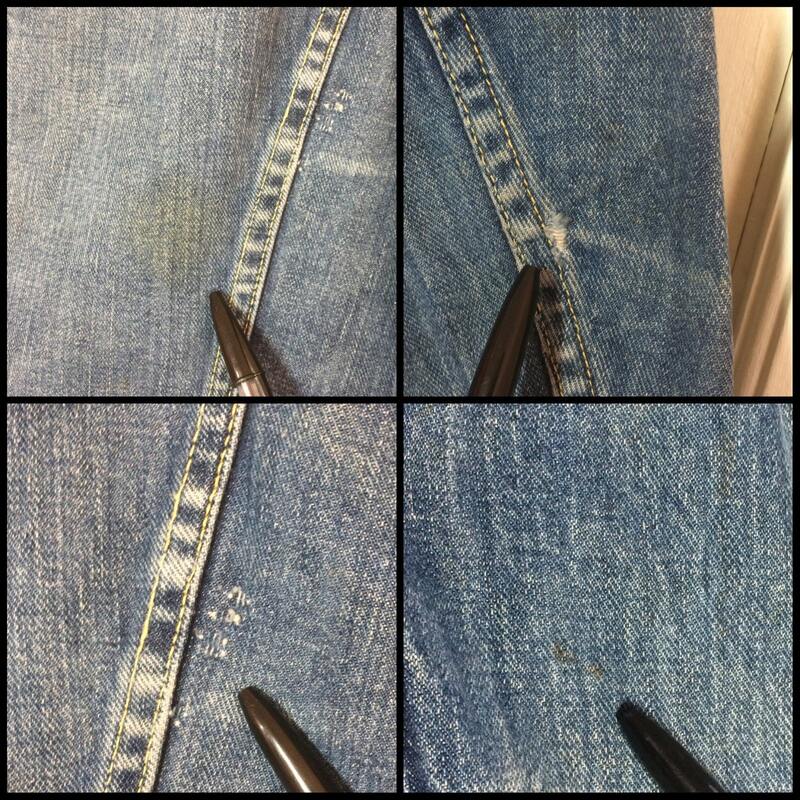 There's some light spots and tiny spots on the front and sleeves. 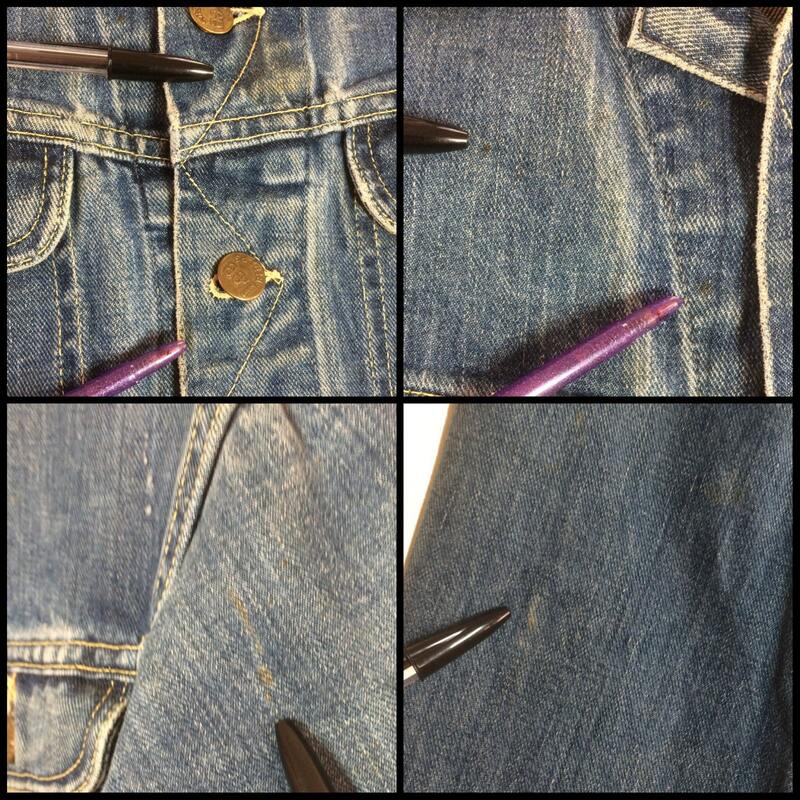 There's a light spot in back, wear and spots on the sleeves and cuffs, and a small mark on the left lapel, see photos. 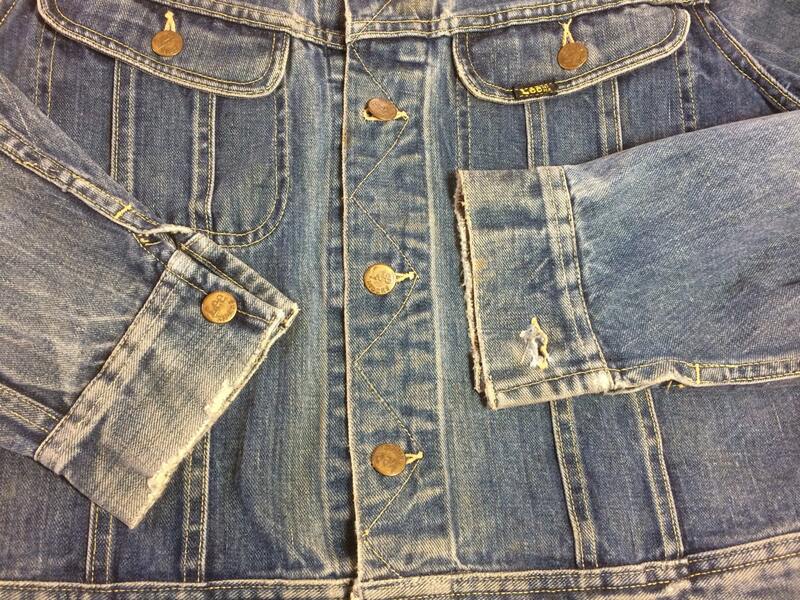 25.25" from the top of the shoulder seam to the end of the sleeve cuff.